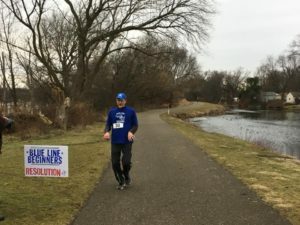 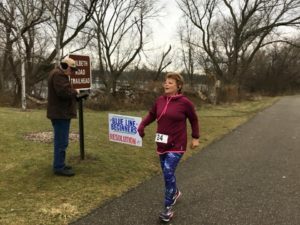 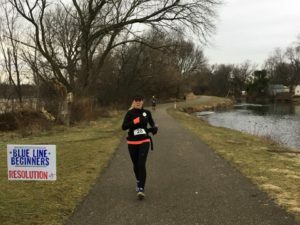 The Blue Line Beginners organized and held its first race for members on Jan. 27, an event intended to become an annual affair in a month when local races are few and far between. 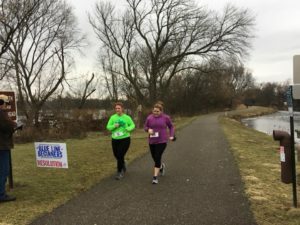 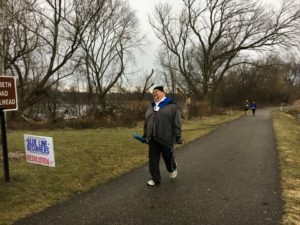 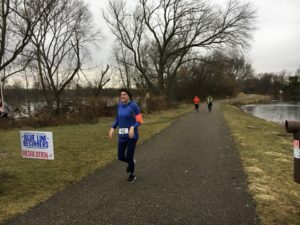 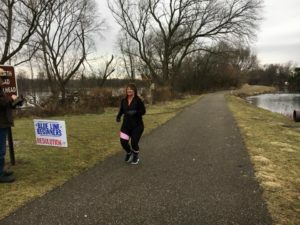 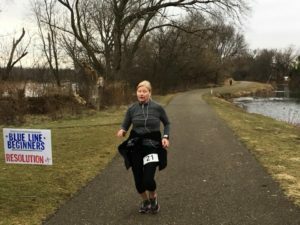 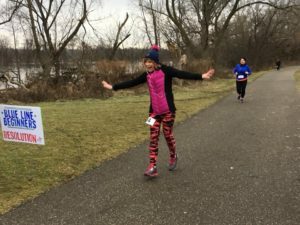 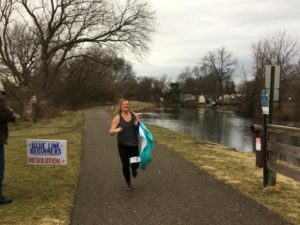 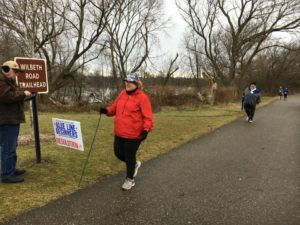 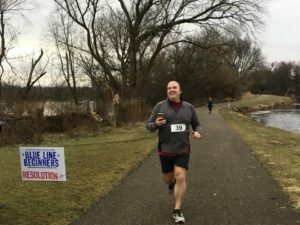 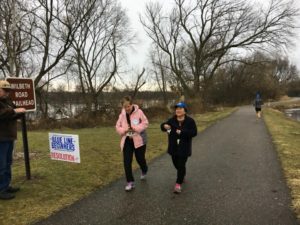 The BLB Resolution 5k set off at the Wilbeth Road trailhead of the Towpath Trail in Akron, attracting 35 runners and walkers that included familiar faces as well as several new ones. 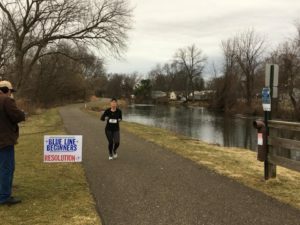 There were also two virtual race participants who ran the same day at other locations, giving us feedback so this option can be offered more broadly in 2019. 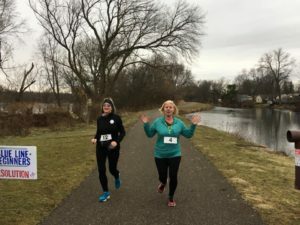 The weather cooperated as best it could for the middle of winter, with temps in the low 40s and mostly holding off on threatened rain, with just some pre- and post-race misting. 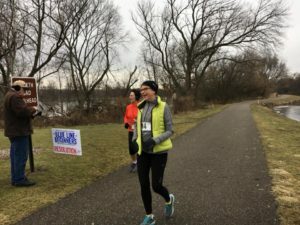 For many of the runners and walkers, it was the first time out in a month or more, having been stymied by a series of snowstorms and icy conditions that made trails treacherous. 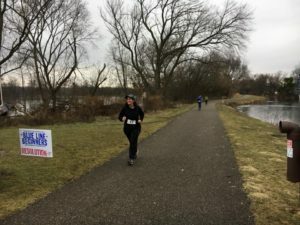 But on race day, the Towpath was clear and dry. 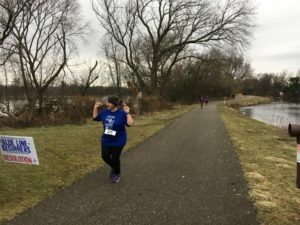 Member Jen Kline, who works with metal, created handmade finisher medals for all participants. 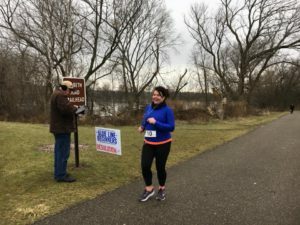 Finishers were also given hot chocolate while they waited for the race to finish. 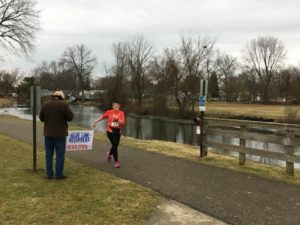 After the last finisher crossed the line, many headed over to Waterloo restaurant for a celebratory breakfast. 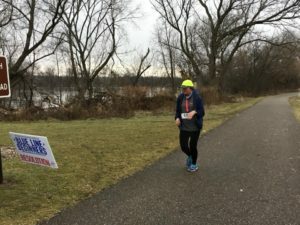 The race was a learning experience for organizers. 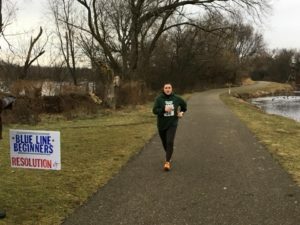 A timing app used resulted in a few mistakes that couldn’t be corrected on the posting website, but errors were fixed for the results accompanying this story. 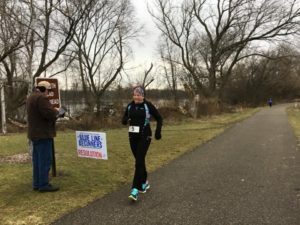 Also, a handful of runners passed the turnaround that was marked 1.6 miles into the trail, causing them to add more distance to what should have been a 3.2 mile race. 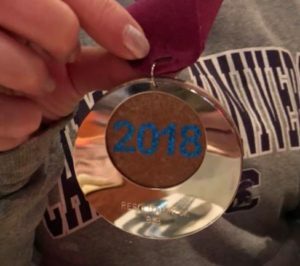 We’ll be sure to find an even better way of marking that next year. 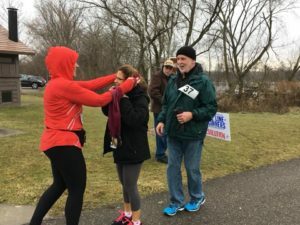 In fact, the first female runner to finish asked to pass the First Place honor to another runner who was faster but was delayed because she didn’t see the turnaround. 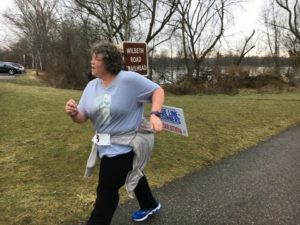 Many of the participants at the finish line supported the idea of sorting it out, so we identified the true “fastest woman” in the race and adjusted the final results. 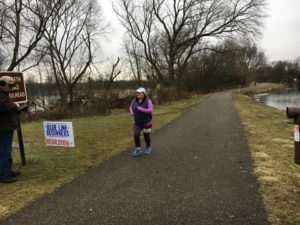 At least for this year, we were a small enough gathering to be flexible. 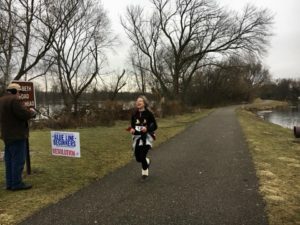 Jen Kline also made sure we had photos of every finisher, which are included with this report. 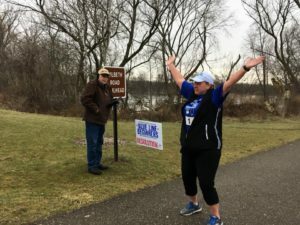 Thanks to those who planned this year’s event: Paula Schleis, Karen Jackson, Jessica Walsh, Lynn Kline, Jen Kline and Kathy Scott. 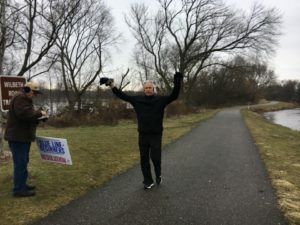 And those who helped us on race day: Roger Kline, Jeff Gentsch and Patti Zaubi. 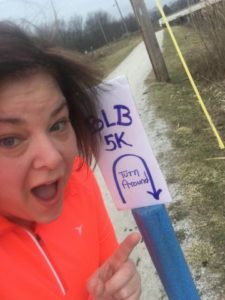 ← A Pretty Spectacular Day!